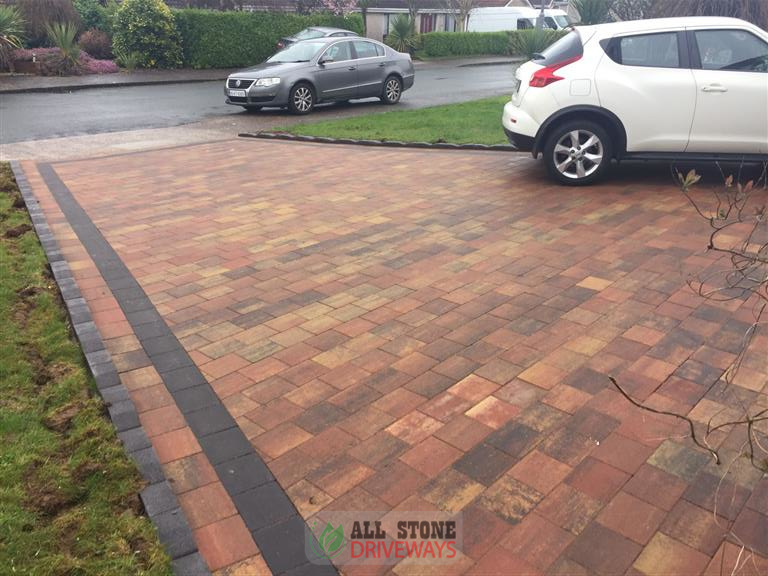 Cork Contractors For Driveway Paving and Garden Paving. No Paving Job Too Large Or Small. We the No. 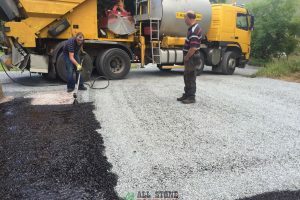 1 paving contractors for Cork. 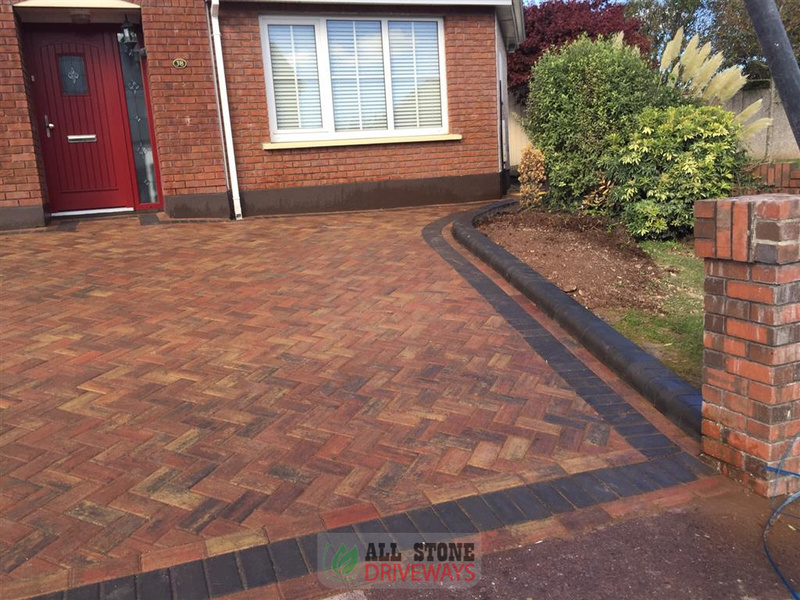 We provide a wide range of block paving options for both driveways and patio areas throughout the County Cork region. 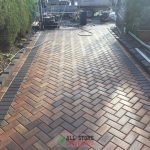 All our block paving work is handled directly by which ensures that the quality of the work is kept to the highest quality. 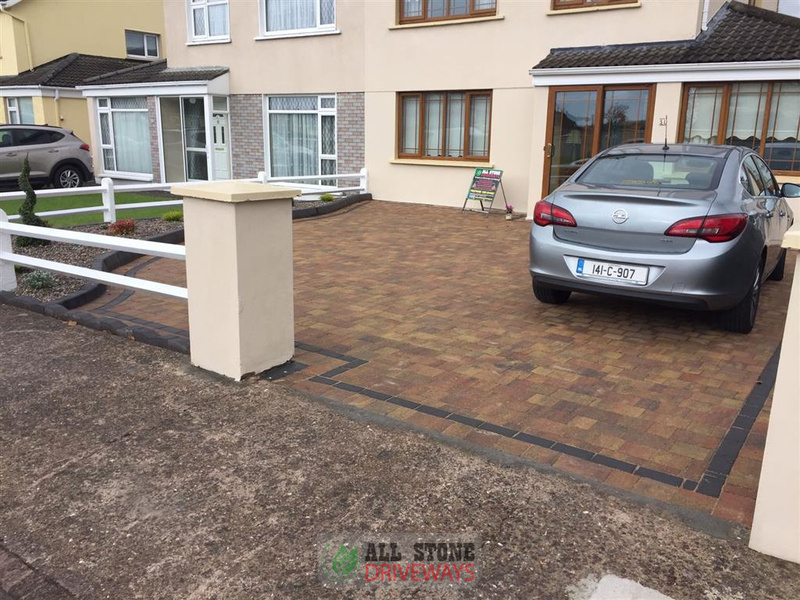 With options on standard paving through to cobble stones, we can provide you with a quality installation that will provide long term value, delivered at an unbeatable price from reliable paving contractors in Cork. 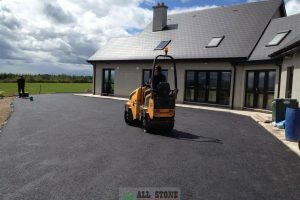 Registered paving company in Cork. 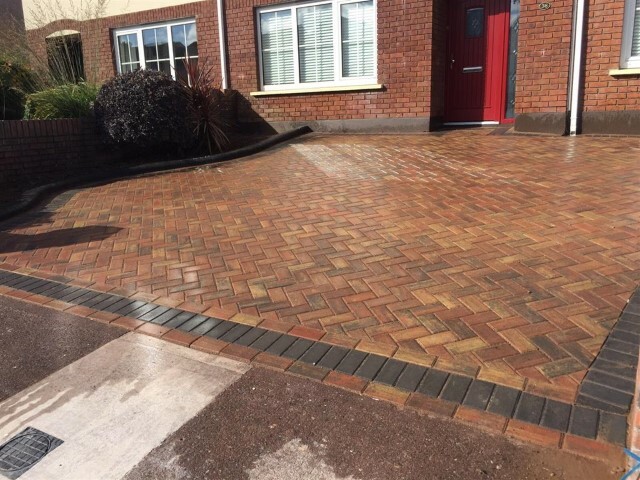 Call our team today to get a quote on block paving in Cork, driveway paving in Cork, garden paving, or replacing your paving in Cork. Is your old driveway looking worn out? Are you looking to replace it? 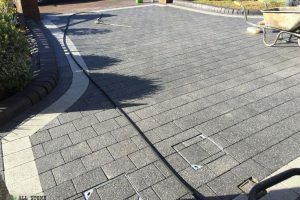 Choosing block paving provides great value. 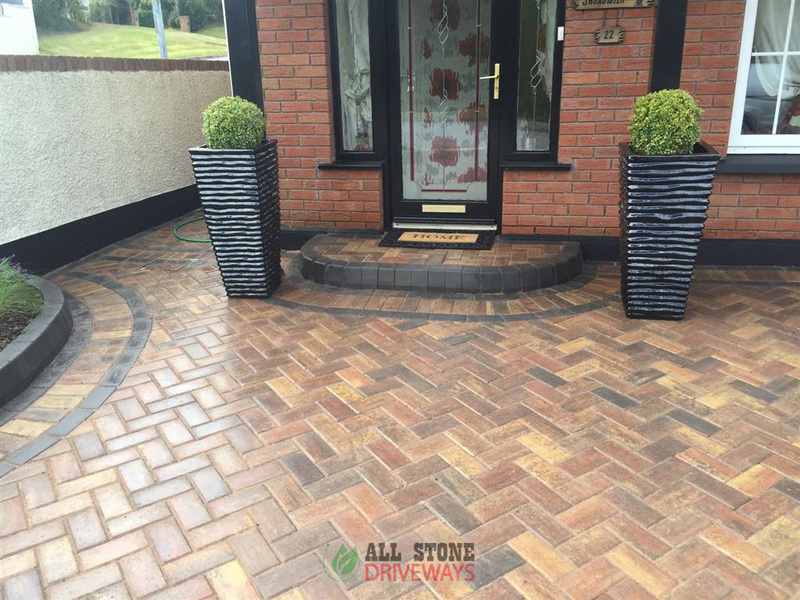 With a wide range of paving colours ranging from simple colours to multi coloured paving and a variety of paving styles to lay in, you are guaranteed a block paving finish that will make any home in Cork standout. 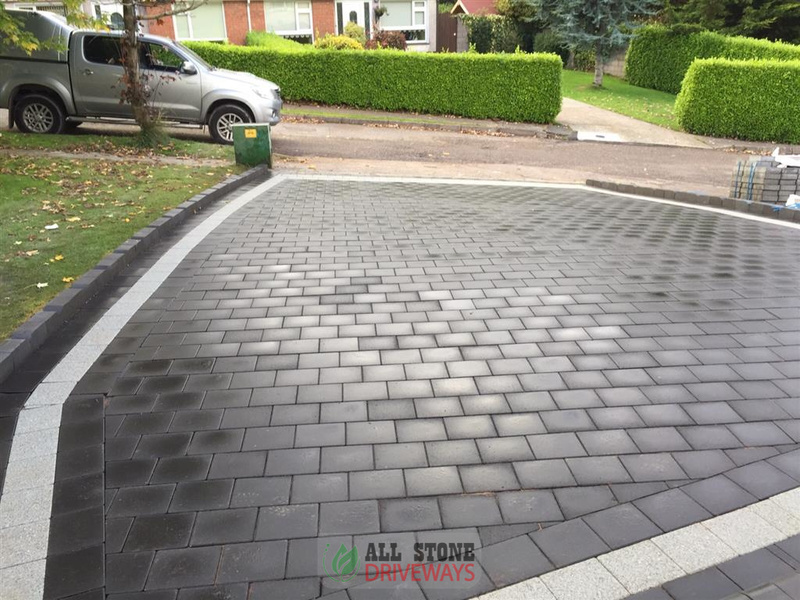 With standard driveway paving you are getting a long term and durable block paving installation that will last for many years. It is suitable for all types of vehicles and with a little maintenance, will keep its colour and finish for a long time. It can be laid in herringbone or in a stretcher bond and will suit any type of a house. 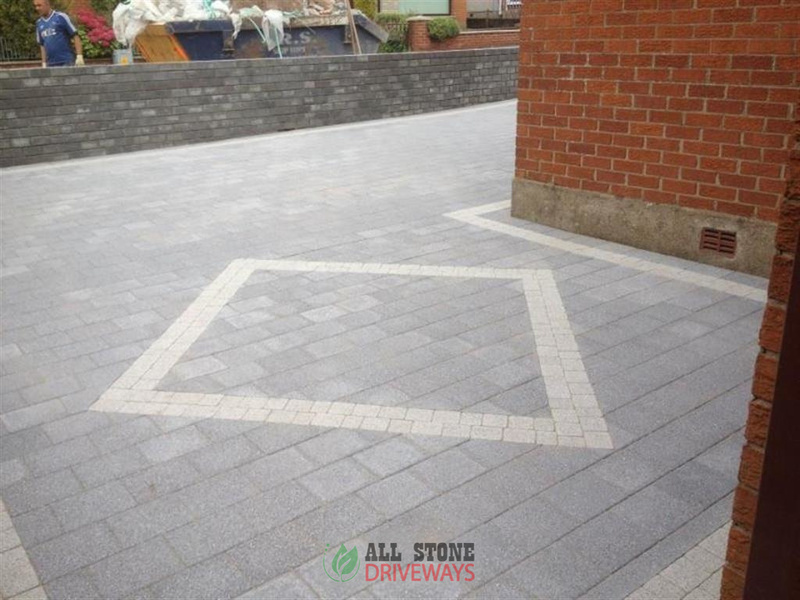 Drainage and recessed inspection chambers can be fitted to be blend in with block paving. Cobblestone is a slightly more expensive option depending on the style. 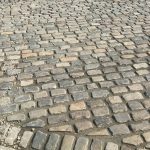 If its a natural cobblestone like granite or reclaimed cobblestones, it can get quite expensive however the overall effect is truly remarkable and will make any home stand out in Cork. 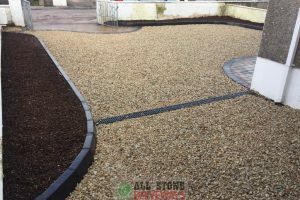 You can fit the usual accessories with a cobblestone driveway like recessed inspection chambers, drainage, edging and steps. Colours can vary as most cobblestones are a natural stone. They will however always hold their colour and with a simple wash down, will return back to there original colour each and everytime.